The questions have been in response to Barack Obama’s supposedly yeoman service in putting an end to the Clintons in public life. #ad#Freddy Krueger always comes back. Jason re-emerges from the pond one more time. Dracula had so many comebacks; nobody was surprised to see him hanging with Abbott and Costello. Of course the Clintons will be back. If the monster-movie thing is too offensive for you Clinton voluptuaries out there, think of it like this: They’re like Richard Gere in “An Officer and a Gentleman” (who, coincidentally, is hounded by a charismatic black dude but never gives up). They’ve got no place else to go. And I was right. The Clintons are back. The coffin lid has sprung open, the seal of the crypt has been broken, the mutant virus has escaped the lab. Both Clintons will speak at the Democratic convention, and Hillary will get her I-told-you-so’s. In the horror flicks, it’s not that the creatures are impervious to damage, it’s that no matter how much you hack them up, they seem to come back again. And again. And again. The Clintons have been horribly damaged, but they press on. Bill could have really added some oomph to that endorsement if he’d only been willing to concede that Obama is a carbon-based life form meeting the minimal requirements defined by scientists for sentient life. But that’s a lot to expect from the surrogate-in-chief for the Hillary Clinton campaign. At least that’s the impression one gets from the beautiful corpse, or rather beautiful autopsy of the corpse, on display over at The Atlantic. Like Richard Dreyfuss in “Jaws” (“This was no boating accident!”), reporter Joshua Green picks through the internal e-mail viscera of the Clinton campaign and finds that the destructive nature of the Clintons is not always aimed at their enemies. #ad#Indeed, shocking as this may be to people naive enough to believe that a woman with no executive experience, no security clearance, no significant successes under her belt, who was catapulted to presidential prominence solely because her husband treated her like a cautionary tale in a country-music song, was nonetheless a co-president for eight years: It turns out that the Bride of Clintonstein was an awful chief executive. Infected by her husband’s passive-aggressiveness, she stood paralyzed as the HMS Hillary took on more and more water, until even the string quartet on the deck was leaping for the flotation devices. As Green pulls memo after memo from the great white’s carcass like so many Florida license plates, we discover that the Clintons knew long, long ago that they couldn’t beat Barack Obama to the nomination. But winning was secondary, carnage was king. You might even say of her decision to stay in the race: This was no polling accident. The Clintons adopted a deliberate strategy of diminishing Obama’s victories, and Mark Penn, Clinton’s trusted campaign manager, pushed for a strategy of ridiculing their black, funny-named opponent as insufficiently American. Such memos, if found in the underbelly of a Republican campaign, would be immortalized by the liberal establishment as permanent proof of conservative racism. When plucked from the bowels of a Democratic campaign, the response is some mild tsk-tsking. But fixating on the plot is never a good idea with monster flicks. The point is that the story is always the same. And so it is this time as well. Bill and Hillary are back. And forever more, Barack Obama won’t be able to take a shower without fear of that curtain snapping back, as a woman — or is that a man? — prepares to plunge the knife into his back. 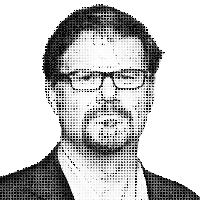 — Jonah Goldberg is the author of Liberal Fascism: The Secret History of the American Left from Mussolini to the Politics of Meaning.